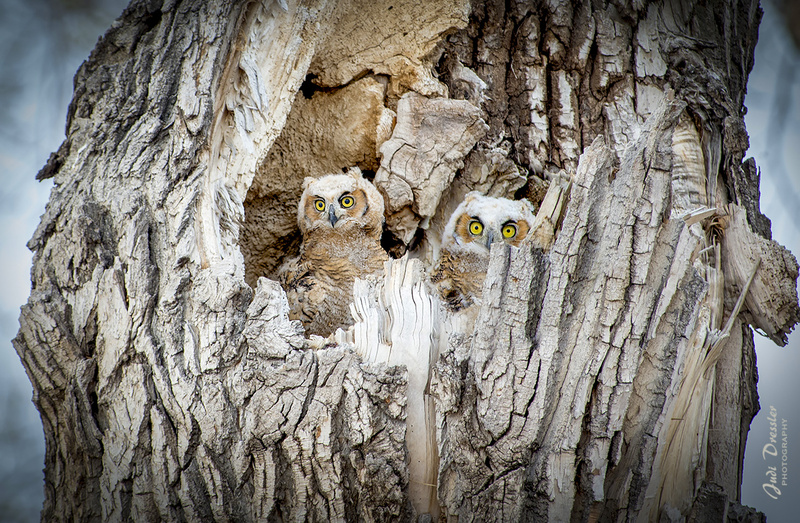 These two baby Great Horned Owlets were nestled inside their tree nest, watching the world from their perfect vantage point. Great Horned Owls are nocturnal, so the parents typically only feed their babies during the night, and sleep during the day. These two babies look as though they’re close to being ready to fledge from the nest. When they do, their parents will continue bringing food to them, and will teach then how to hunt, etc., until they are larger and stronger and ready to fend for themselves. Photo taken on April 24, 2017.